Do you represent a Ohio State Government Agency and wondering how you should archive all your web and social media content? Are you trying to determine what you need to do both from a legal and a technical point of view? Here’s a guide to the different Laws and processes you should follow. What Laws govern Records Management in Ohio State? Like other states such as Florida and Vermont, Ohio has notably pro-access freedom of information laws. 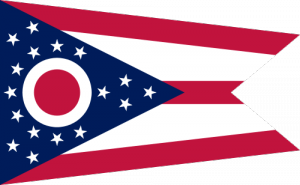 In Ohio Ohio’s Public Records and Open Meetings Laws, collectively known as the “Sunshine Laws,” give Ohioans access to government meetings and records – collectively known as “public records”. Ohio Revised Code (O.R.C.) 149.011 applies to and defines Open Records in Ohio State, with social media and website records subject to these regulations. There are various guidelines set out at State standards for Electronic Records management also. Do Ohio State Records Laws include Website and Social Media content? Yes they do, and the relevant metadata is also pertinent to these laws. One must note that there is a three step in identifying a record in Ohio, subject to its statutory definition (O.R.C.) 149.011(G). Applicable websites are bound by the same provisions, preservation and destruction schedules as paper documents. As defined in the Ohio Revised Code (O.R.C.) 149.011(G), the term ‘records‘ includes any document, device, or item, regardless of physical form or characteristic, including an electronic record. Ohio is unique in that there is a distinct differentiation over whom these laws are applicable to; public records concern the public office, but a public body might not fall within this definition, which include all state and local government offices, and also many agencies. If a private entity is the “functional equivalent” of a public office, that entity will be subject to the Ohio Public Records Act. Records must be preserved and produced in an open and transparent manner for the duration of their retention periods (see O.R.C 149.351 and O.R.C. 149.43(B)(2). An applicable agency website must also be retained in electronic format and remain usable, searchable, retrievable and authentic for the length of the designated retention period. What form do I need to archive my records? A public office must organize and maintain the public records it keeps in a manner such that they can be made available for inspection or copying in response to a public records request- including its original format. Agencies must be careful to manage the duplication of information in social media and preserve the original copies of records in a regulated, official management system. In the case of deleted records, posts, e-mails and messages, the Ohio Supreme court has ruled discovery is necessary if a prima facie showing of deletion in violation of retention schedules occurs, and that reasonable recovery efforts should be made by an agency in line with general duties, before a decision on who should bear the cost of forensic recovery occurs.